on both therapeutic and pharmacological aspects of carbohydrate chemistry. 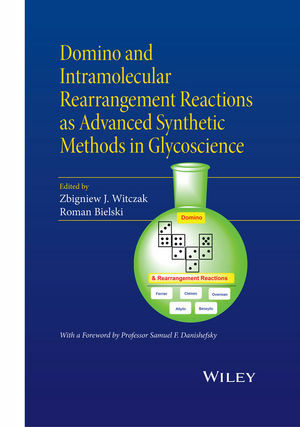 Zbigniew J. Witczak obtained his Ph.D. from Medical University of Lodz, Faculty of Pharmacy (Poland). After postdoctoral work at Purdue University, he worked in industry (A. E.Staley), then?joined the faculty?of the?School of Pharmacy at University of Connecticut. He moved to Wilkes University, Nesbitt School of Pharmacy in 2000, where he is Full Professor. He has published over ninety research papers and holds six patents in the fields of carbohydrate medicinal and biological chemistry. In 2000 he was awarded the Melville L. Wolfrom Award of the ACS Division of Carbohydrate Chemistry. His research interests are in the area of carbohydrate Synthons including Levoglucosenone and L-Arabinose as template for carbohydrate based therapeutics. Roman Bielski obtained his Ph.D. at the Institute of Organic Chemistry, Polish Academy of Sciences. He is currently?a Senior Scientist in Value Recovery, Inc., a partner in Cheminnolab, LLC, and adjunct professor at Wilkes University. Recently he (with M. Tencer) developed a method of enantiomers' resolution requiring no use of chiral compounds. His research interests are origin of homochirality, modification of carbohydrates, solutions to environmental issues and sustainability. He published over three dozen papers and co-authored 18 patents.